Vlasmarktdreef will be closed on these days from Nijvelsesteenweg. Parking 2, 3 and 8 can not be reached by car. Except from 9 am to 8 pm for groups coming by coach, and for drivers who have an identity document for the disabled. The city of Halle provides a shuttle bus from 9 am to 8 pm. This bus takes you for free from Halle to the wild hyacinths (P8 Achtdreven). 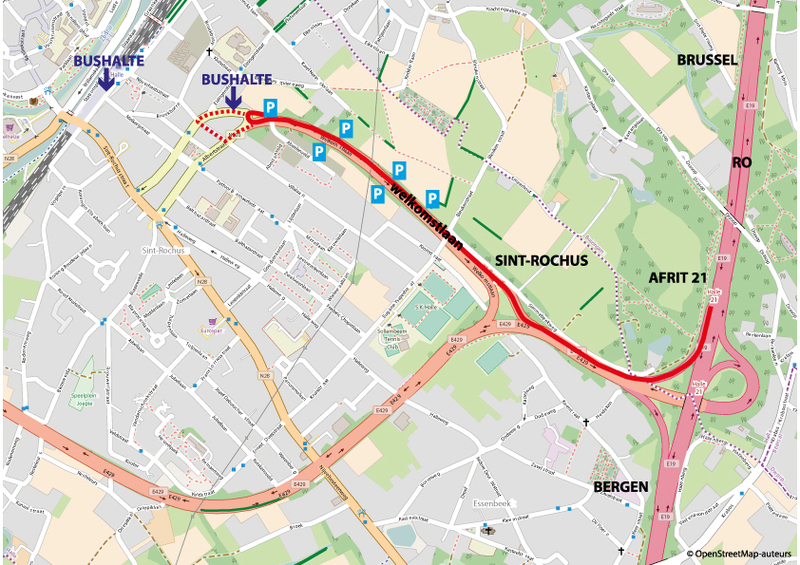 It has two pick-up points: at the station of Halle and at the end of the Welkomstlaan. The first bus leaves at 9 am from the the station. After that it comes every 30 minutes. There are 85 places on the bus. You can park your car along the Welkomstlaan. 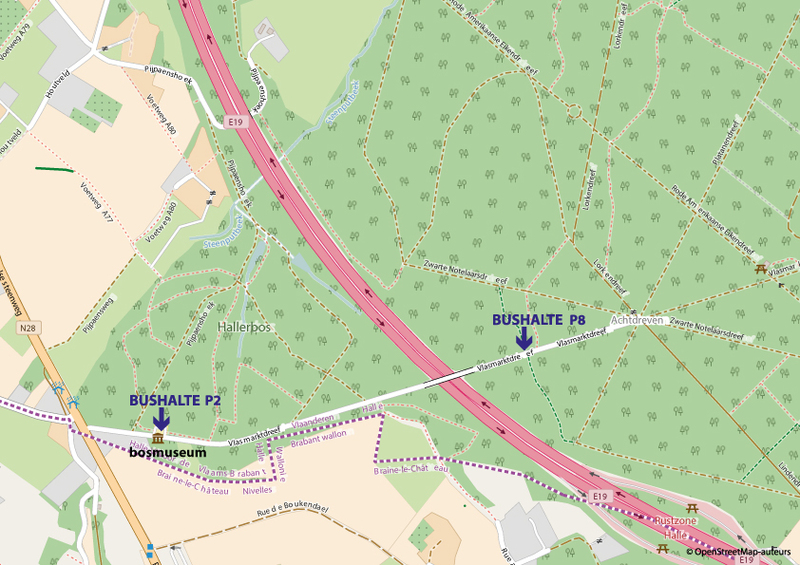 To return by shuttle bus: pick-up point in Hallerbos in car park 8. The first bus leaves at 9.15 am, afterwards every 30 minutes. The last bus leaves the forest at 8 pm. It is recommended to use car park 1 Hogebermweg, especially at the weekends. 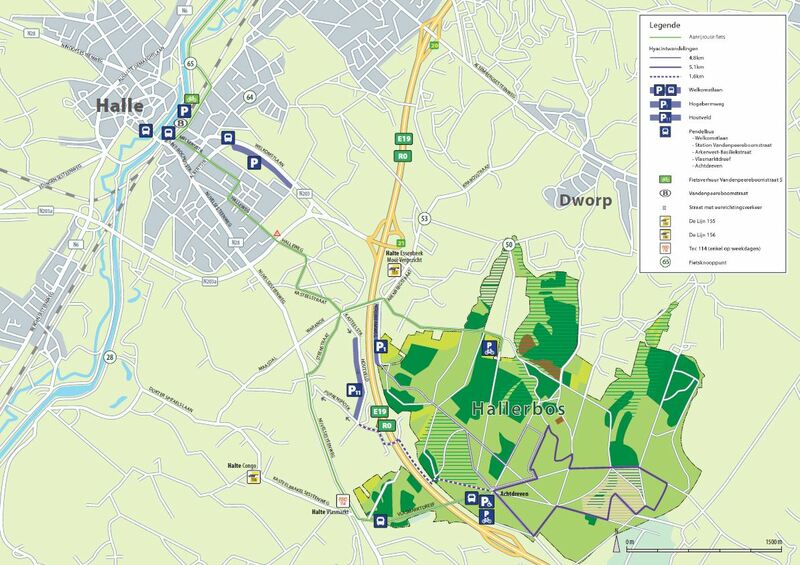 Also Houtveld (car park 11) can be used as a car park on busy days, except on Saturday 27 April when Houtveld is partly closed as the ‘Bluebell jogging’ is passing there. 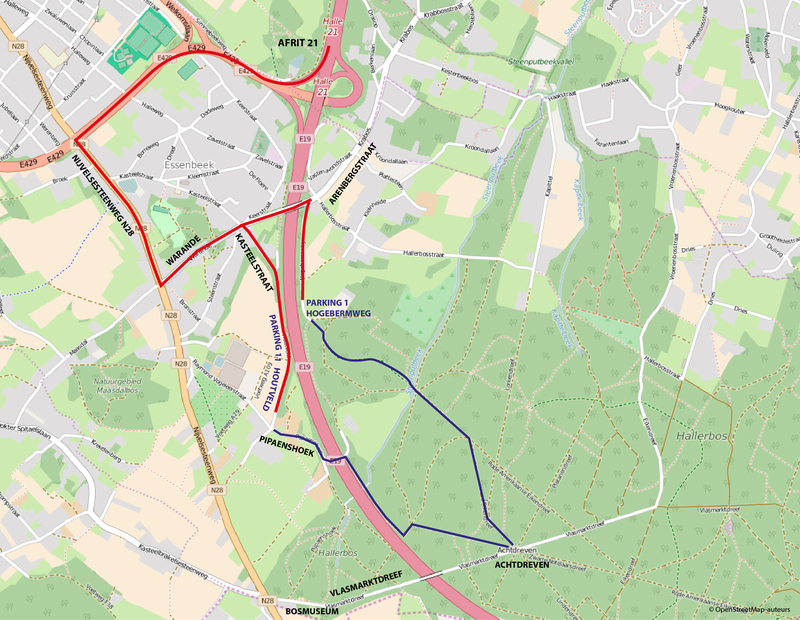 • for car park Hogebermweg (P1 on the map): turn left at the junction Warande/Maasdal, following the sign post ‘P Hallerbos’, turn right immediately after the bridge over the motorway– gps: N 50.71360 – E 4.26721. • for Houtveld: turn left at the junction Warande/Maasdal, following the sign post ‘P Hallerbos’, then take the second street on the right (Kasteelstraat). Continue as far as possible until the junction with Pipaenshoek. Parking on the Houtveld – gps: N 50.70810 – E 4.26497. Walk to the forest via Pipaenshoek and the wildlife tunnel. From Saturday 13 April until Sunday 5 May 2019 there is a temporary bus stop at Hallerbosstraat for the bus Lijn 155. This way you can get to the wood through the Hogebermweg (Car park 1).